'Underground Kitchen' was started in 2016, and is run by Arjun Rajgopal out of his home in Kalyani Nagar. Specialising in authentic Malayali-Malabari and Goan cuisine, his food is available on-order on certain days through the week, and usually on weekends. When Arjun isn't cooking up a storm in his home kitchen, he's working on his own farm in Pishwi village (Taluka Velhe, outside Pune) - which is also where Underground Kitchen sources some of their ingredients (rice, wheat, millets, country chicken) from. Most of the meaty stews and fish curries are made from heritage Malayali recipes, passed down by Arjun’s grandmother - so you know it's the real deal! 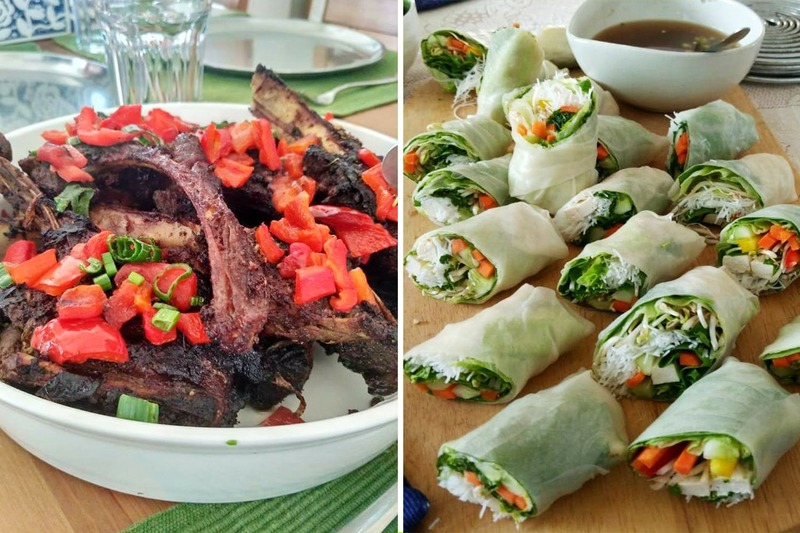 Cooking both veg and non-veg (chicken, seafood, mutton, lamb, pork) dishes, Arjun's repertoire extends to Vietnamese, Mediterranean, and (veg) maki rolls as well. He shares a short menu of seasonal dishes mid-week over Facebook/WhatsApp and takes orders every Friday. We recommend you try some of his pork specialities (Goan-style vindaloo, pork bafat, pandi curry), and khow suey - to start with. Place your order over the phone, or via their Facebook Page. The food is moderately priced, and they deliver within Kalyani Nagar and Koregaon Park. Alternatively, you can also order and then collect your food in person - trust us, it's worth the trip! We only wish the food was available more frequently, and that home-delivery would be possible for neighbourhoods further away. Underground Kitchen is hosting a very special Onam Sadhya lunch on August 25. Limited seats are available, and you can register for it via phone or Facebook.